Standing comfortably on White Church Street in Spanish Town, the old capital of Jamaica, is an institution of learning, boasting the yellow color of the sunshine juxtaposed with the deep blue hue of the sea. 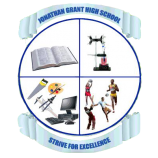 This is Jonathan Grant High School, proudly displaying its official colours. 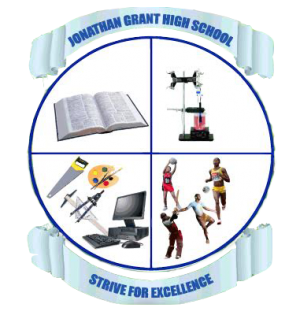 Jonathan Grant High School was named after the late parlimentarian, The Honorable Jonathan Grant, who was the Minister of Labour in 1957. The School was named after him in recognition of his invaluable service in Spanish Town. On October 6, 1980, Jonathan Grant Secondary School opened its doors to six hundred and thirty students. 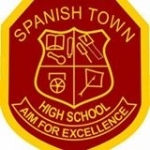 The school was first advertised as Spanish Town Secondary 2, but later became Jonathan Grant Secondary School. With Mr. Courtney Brown as Principal, and Mrs. Myrtle Parkes as Vice Principal, along with eighteen teachers, the stage was set for educating the eager students. 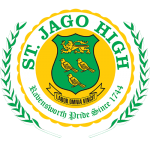 Students were selected from primary and all age schools in the Spanish Town environs, and even as far as Point Hill, Kitson Town and Sligoville. 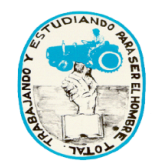 The school started with fourteen classes, grades (71 to 714) and offered courses in the academic and practical subjects - Agriculture, Industrial Arts, Home Economics, and Art and Craft. As the years went by, the school population grew, so in 1984 the shift system was introduced and Mrs. Cortis Nolan became the second Vice Principal. Other Vice Principals that served were Mr. Alfred Ives, Mr. Solvalyn Eccles, Mr. Noel Cameron, Mrs. Beryl Cameron, Mrs. Edith Forbes, Mr. Leslie Mair, Mrs. Beryl Cameron, Mr. Garret Bucknor and Mrs. Welzoline Alleyne. 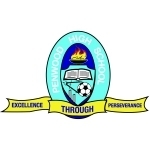 Today, the school is administered by the following: Dr. O`Neil Ankle (Principal), Miss Cheryll Shippey (Vice Pricipal), Mr. Arnold Ludford(vice principal) and Mrs. Mary Frank (Vice Principal). The first set of graduates left the institution in July 1985. They sat examinations in Secondary School Certificate (SSC), ULCI, and the CXC. The school suffered much from the 'stigma' attached to the Junior Secondary Schools. We soon overcame these challenges as our CXC results coupled with our outstanding performance in cricket and football outshone the performance of many traditional high schools. 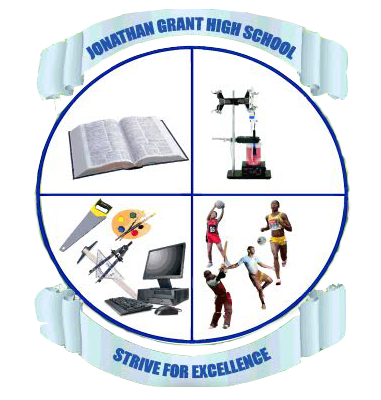 Jonathan Grant High School has grown over the years. The population of the school grew from 637 students in 1980 to 2450 in 2005. There are 103 members of the academic staff including 2 Guidance Counselors and 3 Vice-Principals.